It is approximately 144 km to get from the Calgary International Airport to Bumpers Inn. If you are going to drive or rent a car, here are some simple directions to getting here. Bumpers Inn is approx 5 minute (3.6km) from the exit. You will find the Inns of Banff on your right. Inns of Banff, 600 Banff Ave, Banff. Looking to get to Banff from Calgary and not rent a car? Take an airport shuttle. 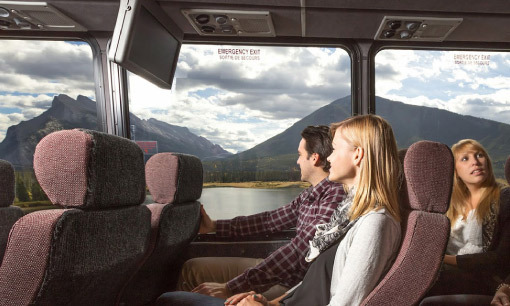 There are a few companies that have frequent transfers between Banff and the Calgary International Airport.